We made no compromises during the design of the Hexagon fabric styles, they were to be equally suitable for both racing and cruising. Double coated fabrics for major durability of their "zero porosity". Superior tear strength both with dry and wet fabric. Maximum resin grip to the fabric substrate, resistant to washing in salt water. Moderate material suppleness suitable for any wave conditions and any apparent wind angle. 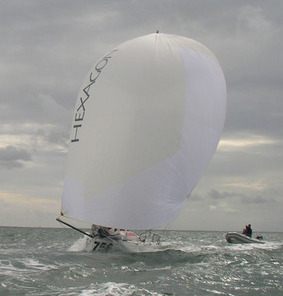 Turning Hexagon in to sails is easy thanks to its inherent flatness and zero porosity. Easy to glue and paint. 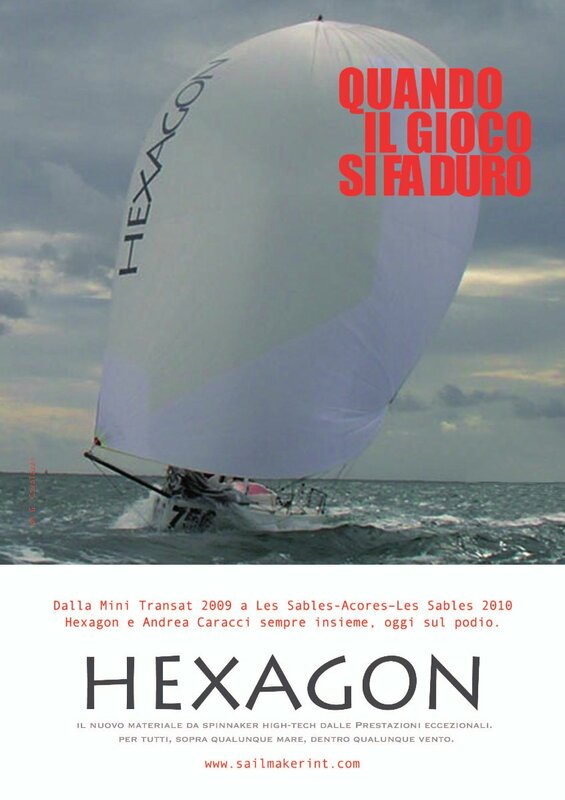 H36 nylon: 20x20 suitable for Symmetric and Asymmetric sails for medium/light breeze. H40 nylon: 30x30 ideal for One Design classes where the minimum weight rule applies @ 40gr/mq. It is also a good match for the H50. H45 nylon: 30x30 ideal in composite construction in symmetrical and asymmetrical medium/heavy sailing condi- tions. A good match is with the H36. H50 nylon: 30x30 its weight allows an ideal match to H40 if utilized in the luff or with H65 if utilized as the body material in an asymmetrical sail. 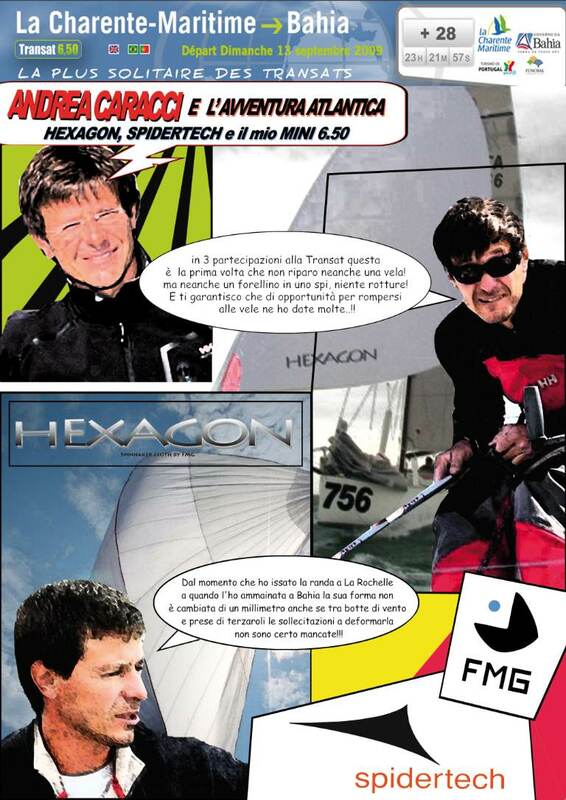 Symmetric full spinnaker material for modern yachts in the range 50-60 feet. Avai- lable in colours thanks to our specific price policy on this specific style, that we recommend also for cruising appli- cation. H65 nylon: 50x50. Designed for heavy air sails and for larger boats. 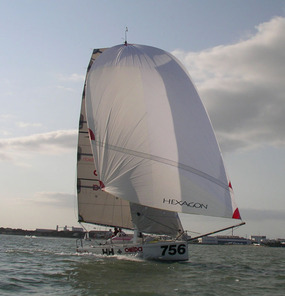 It's weight allows an ideal combination with H85 if utilized in the body of an asymmetric sail. Available in colours thanks to our specific price policy on this specific style, that we recommend also for cruising application in single cloth construction. H85 nylon: 110x110. Designed for heavy wind sails in larger yachts. It's weight allows a combined construction with H65 if utilized in the luff of an asymmetric sail. Specific colours can be produced for a minimum order of 1000 linear metres. All available in white apart from HEXAGON 50 & HEXAGON 65 available also in different colours. The method we have standardized in order to evaluate the durability of Hexagon coating is the following: We crush 1/2 sq mt of fabric inserting it in to a 4x4cm box. After five steps we wash the fabric twice. At each step we test the porosity of the material. 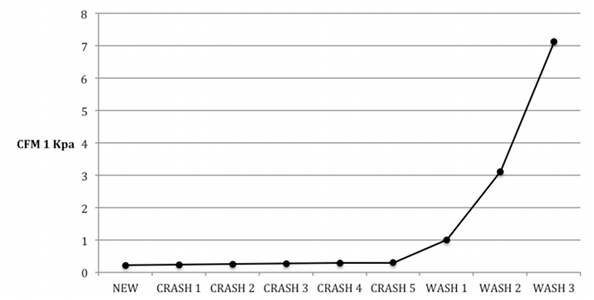 The procedure resembles in a hard way what happen to spinnaker cloth in real life.